Homestead bliss. You have to see this 6 bed, 5.1 bath home to fully appreciate its appeal. Decorated & beautifully furnished to a high standard. Its light, bright, and open plan lay out enhances the natural flow of this wonderful property. Professionally themed Frozen & Star Wars rooms, with hand made bespoke bunk beds, guaranteed to thrill every visitor. If thats not enough you can have more fun in the recently upgraded games room, with FOUR TV and games consoles installed in this Star Wars themed area complete with pool table, foose ball & air hockey. The upstairs master is spacious with the added bonus of a large balcony over looking the pool and spa area. There is a large shaded lanai making it comfortable for outdoor dining which looks over pool and spa, with ample space for many sun loungers to soak up those Florida rays, shielded by a new privacy fence for comfort. 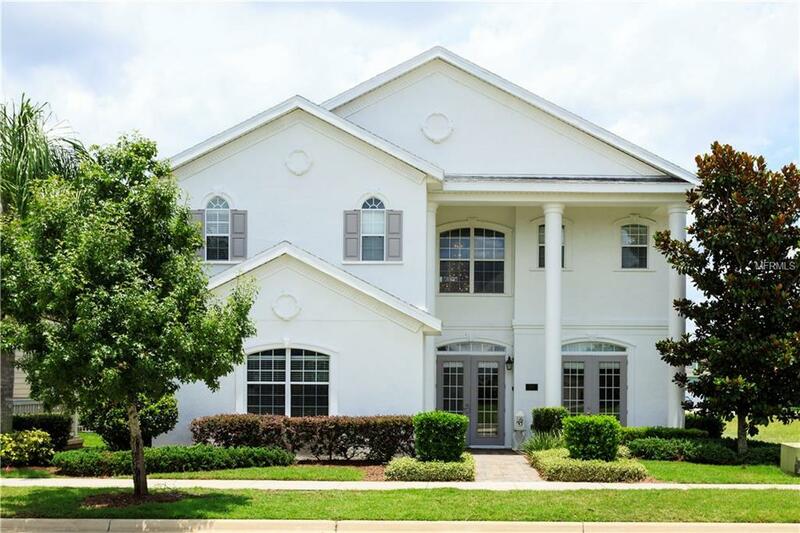 Within a short distance of the home is the club house, spa, hotel & restaurants, which makes this fantastic home even more desirable.Reunion Resort is 6 miles from Disney and has three championship golf courses. Call me today to schedule a viewing of this wonderful property. Amenities Additional Fees: Water Park and Golf require membership and additional fees.